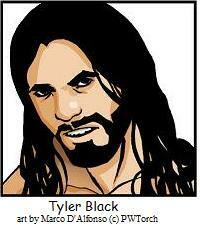 Tyler Black became the new Ring of Honor World Hvt. champion at tonight's Eighth Anniversary show in New York City. Black won the title from ROH champion Austin Aries in a re-match from Final Battle 2009 from New York City. Link: ROH on HDNet Twitter page.